Jimmy Adcock joined Tampa Electric in 1982. His previous responsibilities include positions in Customer Service, Revenue Protection, Energy Management Services (EMS) and Community Affairs. He held management positions in EMS and Community Affairs. 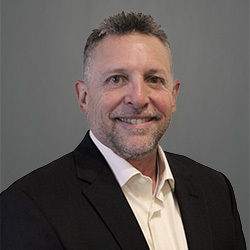 His current responsibilities as Regional Manager include community relations, governmental affairs and economic development for the NW part of Florida for Tampa Electric and Peoples Gas. Jimmy has served as director in numerous organizations, including leadership roles in most; Downtown Dade City Main Street, East & Central Pasco Habitat for Humanities, Pasco Economic Development Council (PEDC), Hernando Progress, Pasco-Hernando State College Foundation, and Chambers of Commerce includes Dade City, Sun City Center, Riverview, Apollo Beach and Ruskin, and active member of many others. Jimmy and Doris have been married for over 20 years and they have three married children; Brett, Rachel, Jon and five grandchildren. Mayor Hernandez was elected to the Dade City Commission in April 2006. She ran unopposed in April 2010, 2014 and 2018. 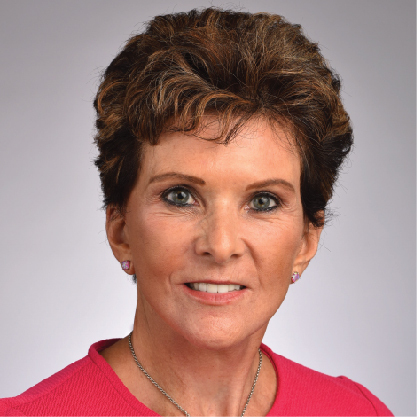 She was appointed Mayor of Dade City in 2012, reappointed 2014,2016 and 2018. Hernandez received her undergraduate degree in biology from Brown University and her Master’s in Public Health from Yale University. She also served as a Rotary International Graduate Scholar traveling to Australia to engage in public health studies at Monash Medical School in Melbourne, Australia. She met her husband Dr. David Hernandez at Yale University and has been happily married for 31 years. They are the proud parents of four adult children, ages 22-29. Steven Hickman has been the President and CEO of First National Bank of Pasco since August 1, 2011. 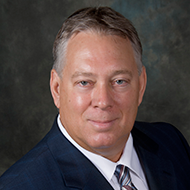 A native of Columbus, Ohio, Steve moved to Florida in 1983 to work with First Florida Bank in Tampa which was acquired by Barnett Bank. In 1997, he became COO of BankAtlantic in Fort Lauderdale. 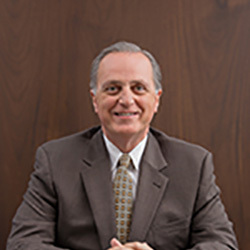 Three years later he moved to IronStone Bank as Regional President then founded the de novo Florida Shores Bank – Southeast in 2006 serving as its first President and CEO. Steve has been very active in his community, serving as a Board Member of the Dade City Chamber of Commerce, the Chairman of the Board for Habitat for Humanity of East and Central Pasco, Chairman of the Advisory Council for the Lewis Abraham Lacoochee Boys & Girls Club, member of the Citizens Advisory Council for the Metropolitan Planning Organization, member of the Advisory Board for the SmartStart Business Incubator, and a Board member of the Thomas Promise Foundation since its inception. John Moors, Executive Director of the Greater Dade City Chamber of Commerce. Originally from Toronto, Canada, John’s education and early career was focused in the Hotel and Restaurant industry. John was General Manager of full service hotels in both Canada and the U.S., and was Chairman of a 40 hotel marketing cooperative across the Province of Ontario for many years. Employed by Commonwealth Hospitality, Bass Hotels and Resorts and Bristol Hotels and Resorts in numerous cities, John has been active in community business initiatives and service work throughout his 30 year hotel career. John joined the City of Tampa in 1999 and was charged with the Administration of the Tampa Convention Center for nearly 12 years. During that time, he served on the Board of the Greater Tampa Chamber, Chaired Leadership Tampa Alumni and was a Certified Public Pension Trustee for the City of Tampa. 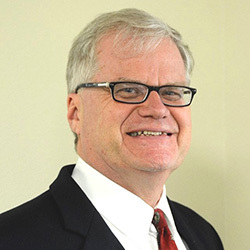 Having served as Chairman of the Saint Leo University Industry Relations Council in the School of Business IHT program, John was introduced to the Dade City area and accepted the position of Executive Director in 2011. The Greater Dade City Chamber represents over 430 businesses across Pasco County and is active in business development and quality of life initiatives throughout the area. Interested in joining an Advisory Committee?